A 2 piece steel cutterhead infinitely adjustable over the range of 4 to 7.5mm by means of a threaded bush. 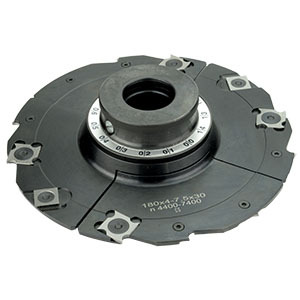 The scale on the bush allows setting to an accuracy of 0.1mm and adjustment may be made without removing the cutter from the spindle. The maximum cutting depth is 45mm. 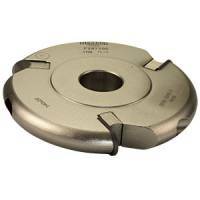 The cutter is suitable for cutting grooves in soft and hard woods as well as well as man made, bonded and veneered boards. Manufactured to EN847-1/2 - suitable for HAND FEEDING.